Korea surprises and fulfills travelers with its harmony. Korean culture is actually unique for featuring both modern and traditional traits. If you are searching for a nation of bursting cities, tranquil villages, vibrant shopping markets, ancient history, and rich culture, Korea is exactly the destination you wouldn’t want to miss. 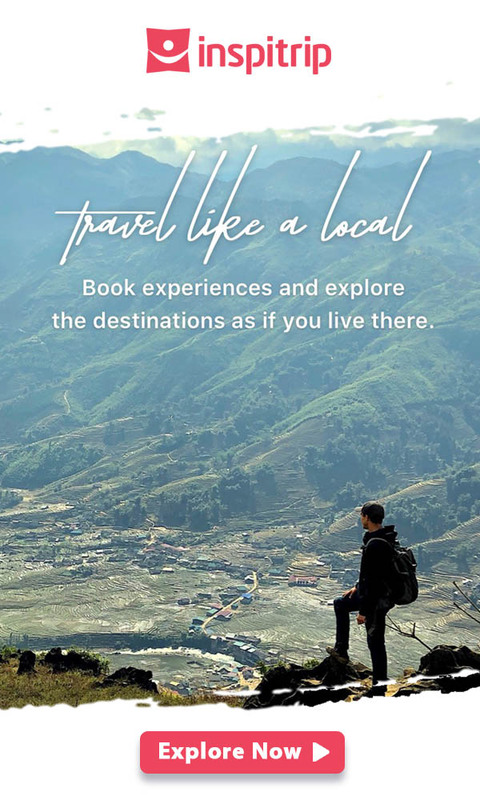 Instead of getting lost in a country without direction, let this pocket-tip guide help you explore the most attractive and breathtaking stops. You’ll definitely be amazed by some amazing things to do at this country’s unbelievable and incredible cultural display. Changdeokgung palace: the second palace you could not miss in Korean culture journey! War Memorial and museum: Back to history! Namsan mountain: Lovers! The best place for the love locks and romantic views! Gyeongbokgung palace is known as Korea’s first, main, and largest palace of the Five Grand Palaces: Gyeongbokgung Palace, Changdeokgung Palace, Gyeonghuigung Palace, Deoksugung Palace and Changgyeonggung Palace, built in Joseon dynasty in 1395. It is also known as the Northern Palace and features over 500 buildings. From 1592-1598, Gyeongbokgung palace was destroyed by Imperial Japan and restored gradually later. Visit National Folk Museum to understand more about Korean culture in this most beautiful palace! People wandering around Gyeongbokgung in a sunshine day. 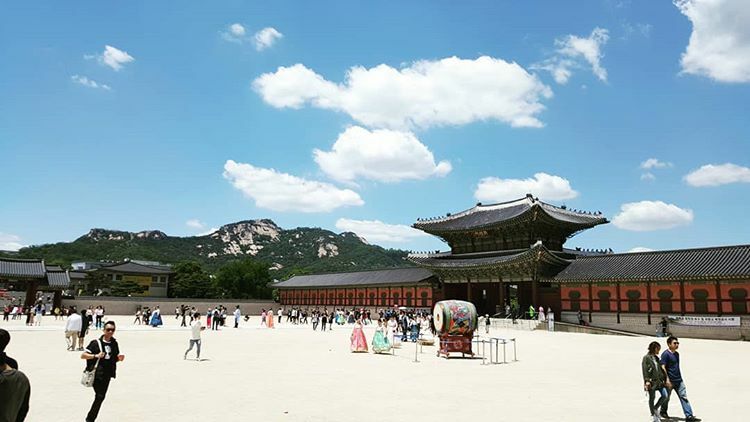 If Gyeongbokgung palace served as the home of Kings during the Joseon dynasty, Changdeokgung was the most visited place for its architecture and secret garden design. It is also called the “East Palace”. Compared to other cultural palaces, Changdeokgung is well-known for its well-preserved features, still intact from the Joseon dynasty. Changdeokgung was listed as a UNESCO World Heritage site in 1997. 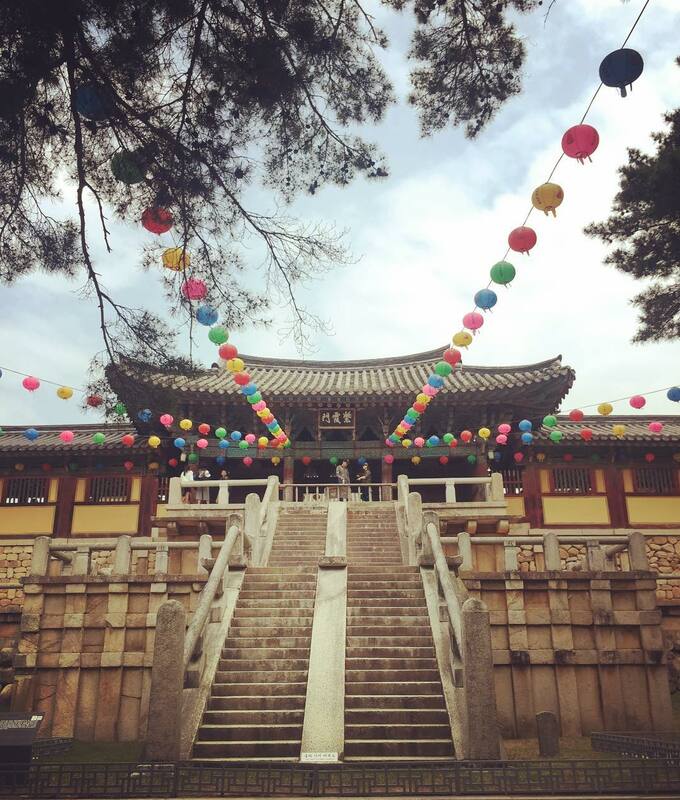 Come visit Changdeokgung palace to live harmoniously with nature! A lovely corner of Changdeokgung under the blue sky. 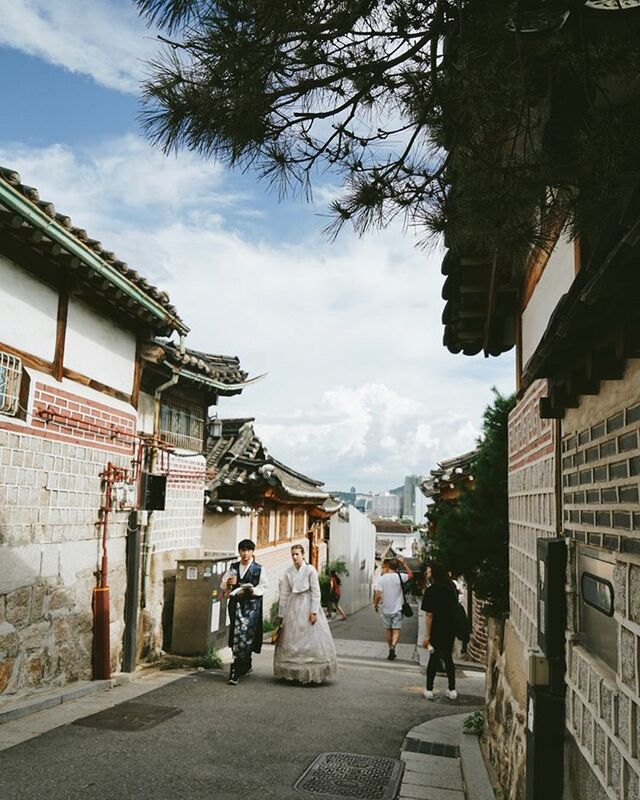 After immersing yourself in the outstanding architecture of the Joseon Dynasty, make a visit to the environmental–friendly Bukchon Hanok village. Located in the north-central region of Seoul, it doesn’t take much to reach this peaceful place! “Buckchon” means North village and “Hanok” means traditional Korean house. Bukchon Hanok village is settled in the hilly area between the Gyeongbokgung palace and the Changdeokgung palace. This village is known for having been a residence of high-ranking government officials during the Joseon dynasty. Exploring this narrow path is one of the favorite activities of tourists. Tip: This place is free of charge, just remember to wear sturdy shoes for a walk and this place is very fit for who finding a place of silence and tranquility in the middle of the city. Within walking distance of the Gyeongbokgung palace, you will find the Jogyesa Buddhist temple, located on the cultural street of Seoul, Insadong. It was first established in 1395. During Japanese occupation from 1910 to 1945, the Jogyesa Buddhist temple was built as a place of resistance against the Japanese trying to put an end to Korean Buddhism. Come here to see the colorful architecture of Daeungjeon, the main temple building and appealing green sceneries: about 500-year-old Chinese scholar trees and baeksong pine trees. Tip: There are a lot of Buddhist shops around with special souvenir gifts. Do not miss them! Colorful lanterns hanging through pagoda porch. Bulguksa temple is located on Mount Toham. It is considered a masterpiece of the Korean Buddhist golden age with seven National treasures of South Korea including stone pagodas, stone lantern, bridges and Buddha statue. Bulguksa temple was designated a UNESCO World Heritage list and considered the No.1 site of history and scenery. Tip: Try to ring a big bell at Bulguksa temple, close your eyes, participate in meditation in its 1 minute-long vibration chanting. 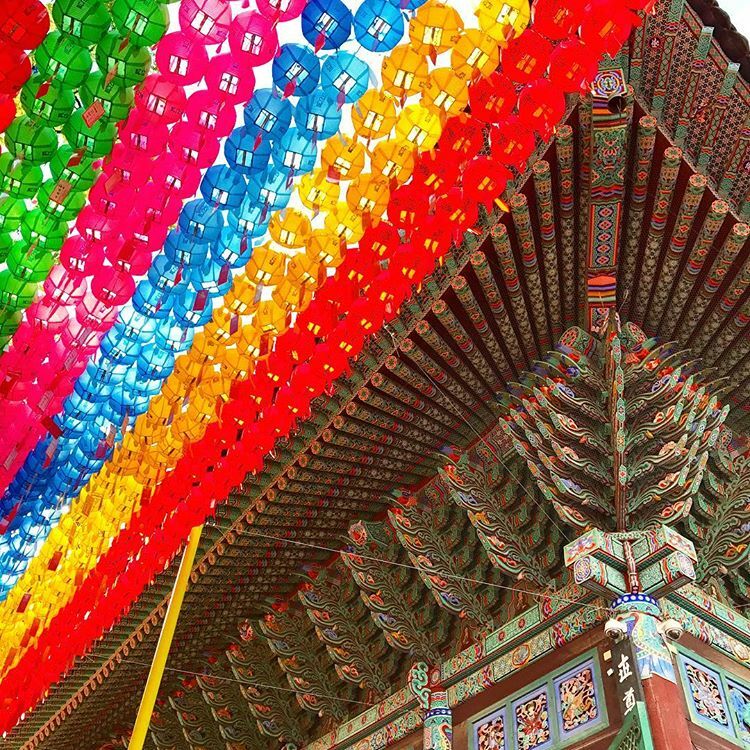 It’s a great way to experience Buddhist spirit and get a taste for Korean culture! Tip: If you are interested in Korean war history and its relation to neighboring countries like Japan, China and Vietnam during wartimes. Stop by this place to see what it’s all about! 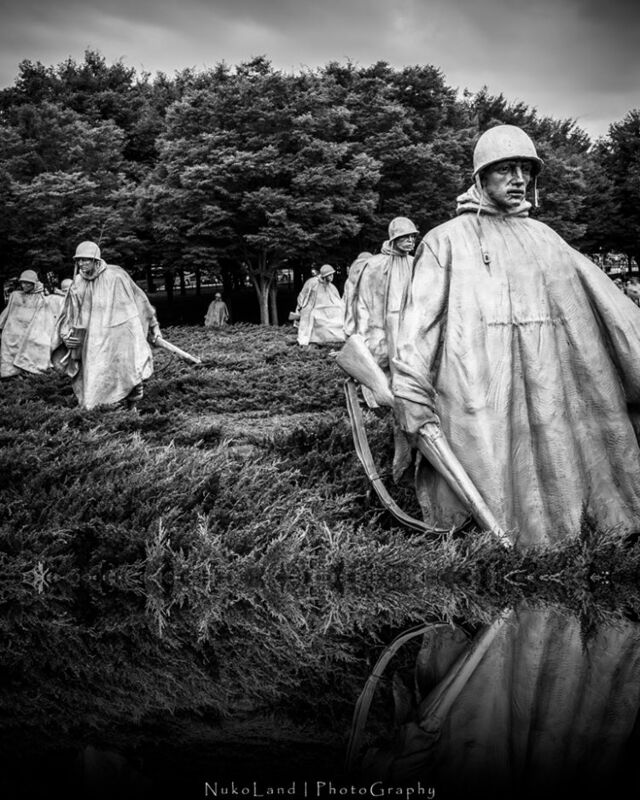 Statues of soldiers at Korean War Memorial and Museum. The museum was established in 1997 for preserving and Gangjin Kilt site. Pottery in Goryeo dynasty (918-1392) is well known for how refined the art pieces are. During this time, celadon was produced on the Korean peninsula with a green, ceramic hue. There are about 30,000 pieces of celadons collected at museum. The fact is that Goryeo artisans from the beginning learned from Chinese potters. For those looking for the beauty of pottery and celadon, Goryeo Celadon museum is a great spot to visit. Tip: There is an entrance fee of 2,000 won (adults), 1,500 won (teenagers), or 1,000 won (children) to access to this place. At the entrance of Goryeo Celadon museum. The Han river is the fourth longest river in Korea. In history, Han river was utilized as trade route to China via the Yellow Sea. The Han River has been the setting of many Korean famous music video and films such as the Host film, Castaway on the Moon, Inchon, and even the hit dance song Gangnam style. Tip: Along the Han river, at the lower stretches, there are bicycle paths, parks, camping areas, pedestrian walkways. You could come here for a day out with fresh air and relax like the locals do. 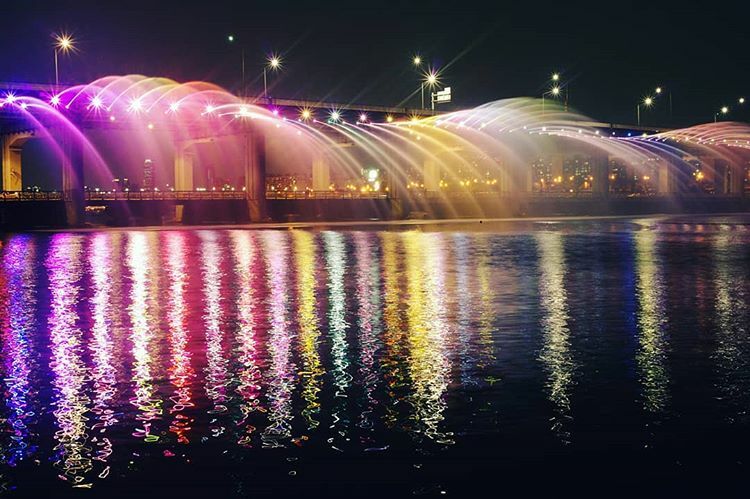 A water colorful show at Han river. 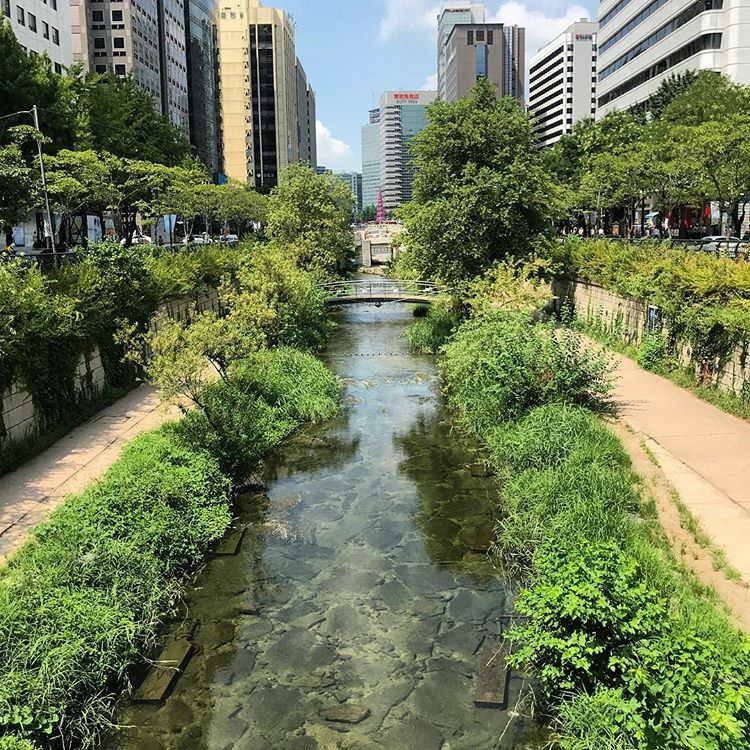 Cheonggyecheon stream was restored in 2005 as a part of a Korean urban renewal project. It was initially a natural stream and home to cultural activities that took place every year. Just take a walk along it to explore water and light shows, looking at ducks and fish, seeing thousands of wishes, experiencing wall of art and culture and visiting Cheonggyecheon museum…. Tip: It is completely free to walk along or join any activities at this natural stream. Namsan mountain is 860ft high at its peak. You could walk up or take cable car to reach the top of it. 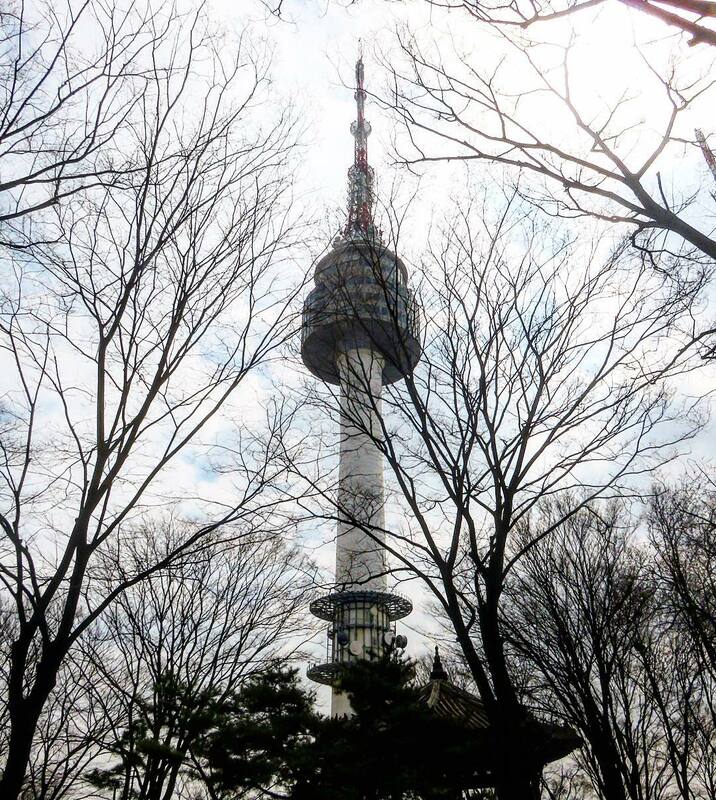 There are some interesting places like the N Seoul Tower, Namsan Library, and aquarium. At the N Seoul Tower, it’s a great date idea to leave a token of your love on the bridge and then head out for dinner! 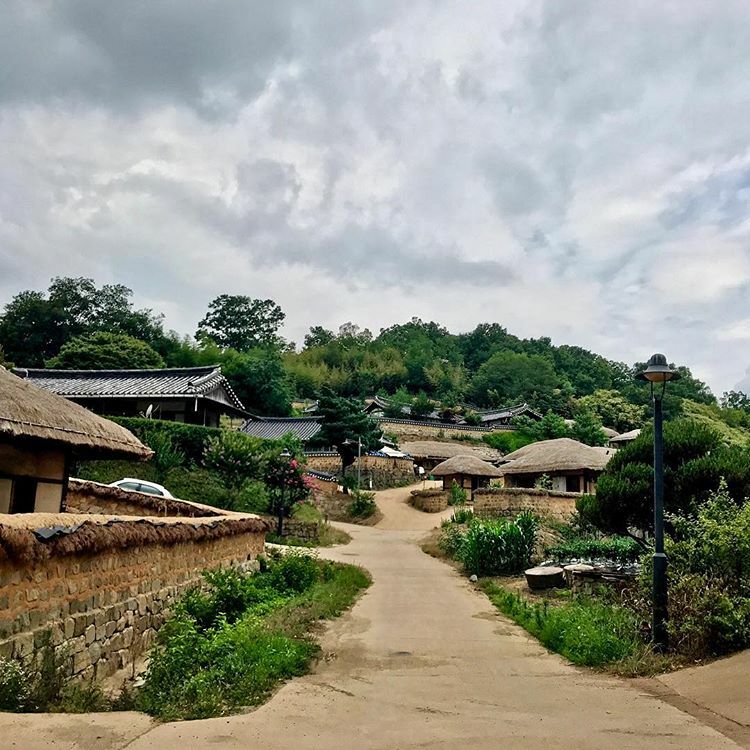 You could also check out Namsangol Traditional Village for experiences of Korean culture. Namsan tower standing in the winner. Korean Demilitarized Zone (DMZ), a line across Korea peninsula was established in 27, July 1953 as a buffer zone between South and North Korea. DMZ spreads from Gyeonggi-do to Gangwon-do . 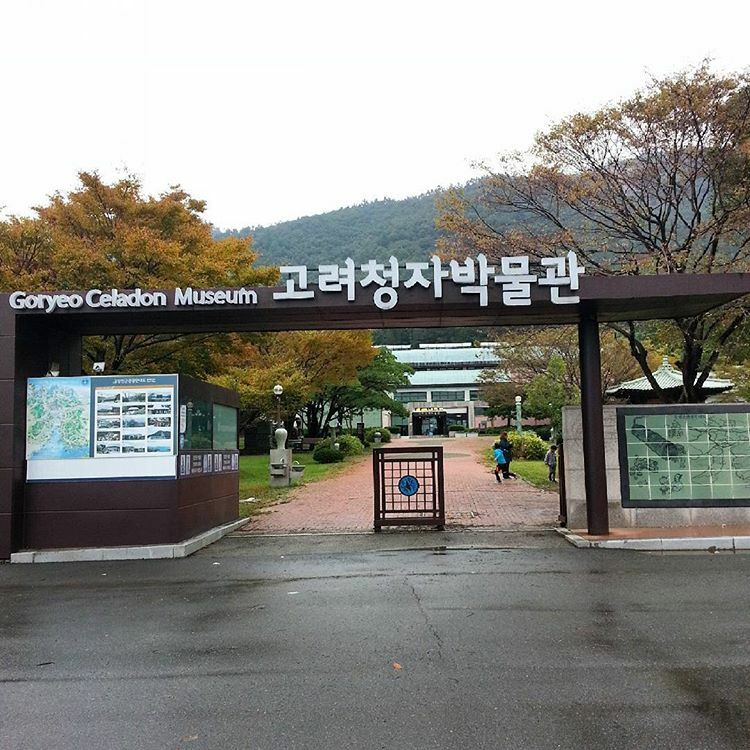 At Gyeonggi-do, there are some major points you can visit here such as Nuri peace park, the third tunnel, Dorasan station, joint security area, Odusan unification observatory. 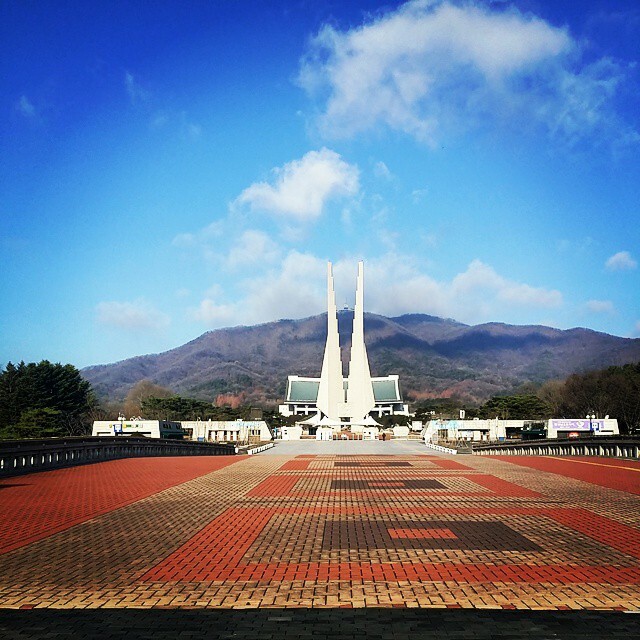 At Gangwon-do, you could visit the second tunnel, cheorwon peace observatory, Woljeongri station, Cheorwon Korean Party Head quarter, peace dam…. Tip: Because there are a lot cities and counties on this land. Be focused on some places you pick for your limited time. If you want to know more Korean culture, visit this large Korean history museum. Was established in 15, August 1987, Independence Hall of Korea focuses on independence movements during the Japanese Colonial Period. With seven indoor exhibition rooms, the first room is dedicated to exhibits from the prehistoric age to the Joseon Dynasty. 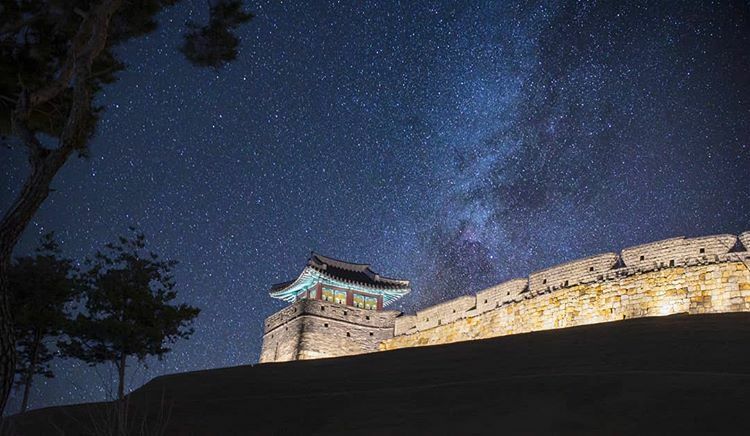 Hwaseong Fortress is listed as a UNESCO World Heritage Site and features brick and stone walls surrounding the city center of Suwon city, Gyeonggi-do Province. During the Joseon dynasty in 1794-1796, the fortress was built by King Jeongjo for his father’s remains and for defensive purposes, Crown Prince Jangheon. It has excellent architecture that is the culmination of ideas brought from both the East and West. 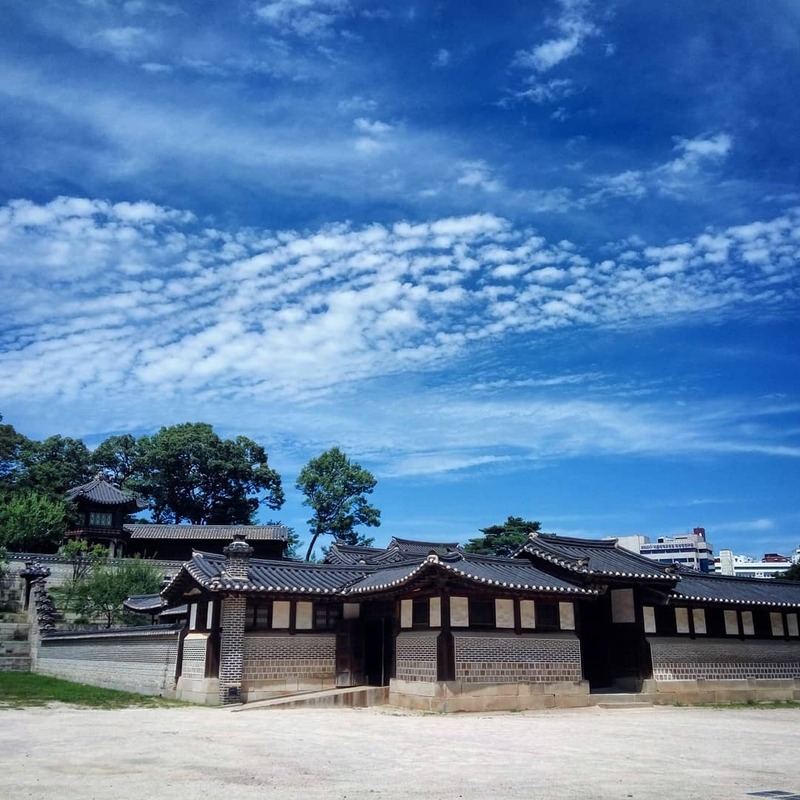 If you are a huge fan of Korean culture, you can surely learn more about social and technical development in 18th century in Korea by visiting this fortress. Gyeongju is a coastal city of the North Gyeongsang Province in South Korea. It was the second largest city in the province and the capital of Silla kingdom. Gyeongju was famous for its name, “the museum without walls”. There are historical sites belonging to Gyeongju that are listed as UNESCO World Heritage Sites. 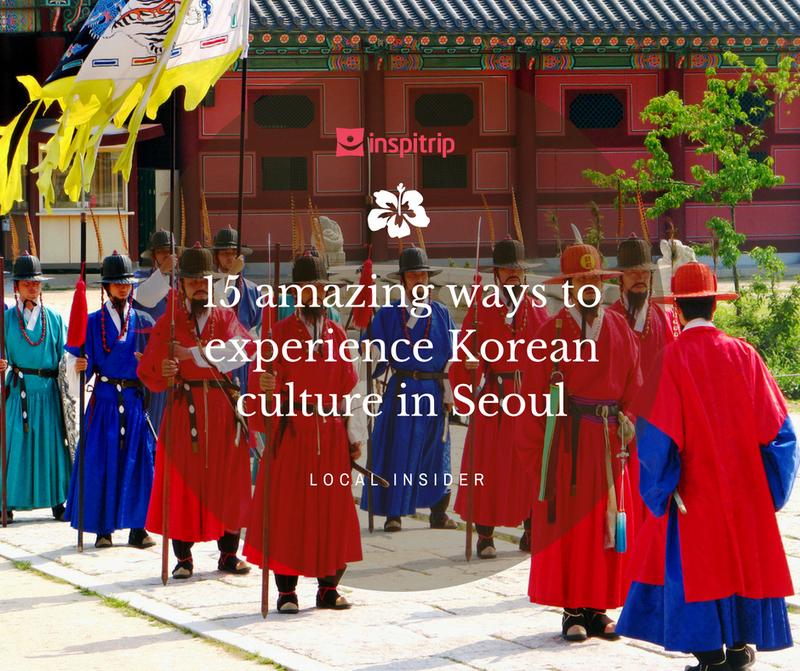 Explore Korean culture and history! 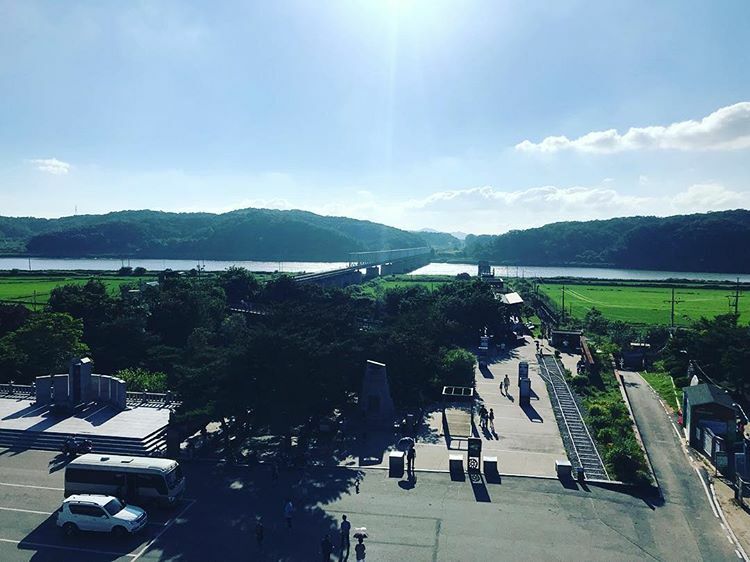 Come to Gyeongju! One of the best way to immerse yourself in Korean culture is enjoying its performances. In order to promote folk plays spreading to public, Nori Madang offers traditional performances every weekends and about 120 performances every year. Your tour ends with happiness, pleasure and fulillness. I am sure that though there are some neighbors like Chinese, Japan and Vietnam being rich in culture, Korea definitely brings you a very different and distinct taste of culture. Come to Korea, particularly Seoul to not also exploring Korean culture but also reflecting yourself in the ancient history.